100 cm size is currently out of stock. Striking brown leather with a Bavarian lion motif. 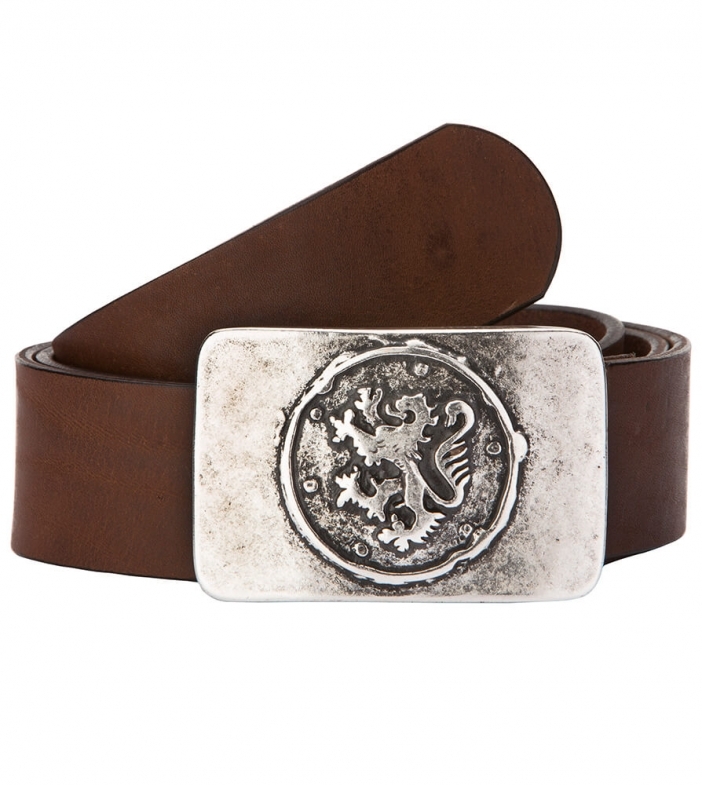 This traditional dark-brown leather belt features a stunning silver rectangle buckle emblazoned with the stylized image of a fierce Bavarian lion embossed in a flaming circle. Wear it to your heart’s content in any social setting, from work to Oktoberfest, and bring tradition back in vogue. Pair it with your leather boots and make it a memorable occasion.